Sentencing procedures in the case of baby Daniel, who was abused and murdered in 2016, are expected to resume on Tuesday. The toddler’s mother Maryke Cloete (not her real name to protect the identity of the child) and her boyfriend Timothy Naidoo appeared briefly in the Johannesburg High Court on Monday. 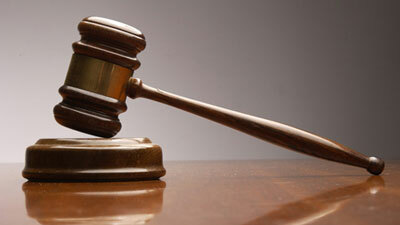 Cloete was found guilty on two counts of child neglect and Naidoo was convicted of the murder of baby Daniel. The proceedings had to be postponed as one of the defence attorneys was not present due to ill health. During the pre-sentencing hearing, it is presumed that four independent witnesses are to testify. However, it is unclear if both the accused are to also to give testimony before the judge can hand down their sentence. During the trial, experts testified on the injuries suffered by the toddler including 60 percent burns to his body, a broken elbow, femur and injured ribs. There were also 15 applications of blunt force trauma. The accused, Timothy Naidoo, who is the boyfriend of the toddler’s mother, claims among other things that the child fell into a bathtub of hot water and accidentally hit his head in the process. This happened at the time when the three-year-old was left in the care of Naidoo. The post WARNING GRAPHIC DETAILS: Sentencing in baby Daniel case expected to resume on Tuesday appeared first on SABC News – Breaking news, special reports, world, business, sport coverage of all South African current events. Africa's news leader..